Hope you had a great holiday break! We did and we’re back, refreshed, and ready to go! It’s going to be a great year for the pollinators--I can feel it. But great things come from hard work, so we have to roll-up our sleeves and get to it. Let’s get started with the #SaveTheBees Tour and Ontario neonic plan (see below). As always, a sincere thanks for taking action. The Sierra Club Canada Foundation will be undertaking a cross-country speaking tour as part of our #SaveTheBees campaign. The tour will include a series of public meetings with beekeepers, farmers, academics, and environmental advocates, as well as individual Canadians concerned about the fate of bees and the environment who would like to further learn about the issues. As you know, Sierra Club Canada has been campaigning to #SaveTheBees and raise awareness of the increased colony losses and bee carnage. 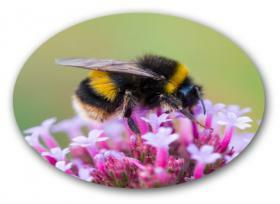 We worked hard to convince the Ontario government to take strong action and mobilized over 100,000 Canadians to oppose Health Canada’s registration of yet another new bee-killing pesticide: flupyradifurone (a close cousin of the neonicotinoid killers). The Canada-wide tour will start in early spring to coincide with the 2015 planting season. Tour stops include Victoria, Vancouver, Calgary, Edmonton, Saskatoon, Winnipeg, Ottawa, Kingston, Toronto, Montreal, Fredericton and Halifax. If your town’s not on the list, let's talk about adding it! Events will include speeches from author Paul McKay and Sierra’s National Program Director John Bennett. The addition of local guest speakers will ensure that the #SaveTheBees tour builds partnerships with local communities and organizations, and furthers the dialogue on bee-killing pesticides and environmental protection. In order to make these events a success, we’re enlisting dedicated volunteers to help in the planning, promoting and running of local events. Whether you are an environmental campaigner or simply a concerned citizen, your help would be greatly appreciated. If you’re interested in volunteering, please get involved today. We can’t do it without your help so sign-up here if you’re able to volunteer. If you’d like to help but can’t volunteer, please consider making a small donation today. The bees need us more than ever before! As you know, Ontario plans to restrict the use of bee-killing pesticides. In 2014, the Ontario government announced it intended to restrict the use of neonicotinoid pesticides. In order to develop the plan and regulations, the province began conducting consultations and invited the public to comment. A number of these public consultations took place this past December and the majority went very well, with farmers and other stakeholders able to give input on the new rules. A meeting on December 19th, however, was very different. The head of the Ontario Grain Growers (OGG), accompanied by (former MP) Ted Menzies, the new CEO of industry lobby group CropLife, stood up at the beginning of the meeting, condemned the government, and then (took their toys) and stomped out. The OGG and CropLife intend to undermine the consultations and are already preparing a pre-federal election ground offensive, and the battlefield is Ontario’s urban/rural divide. You may remember CropLife is in the midst of a major lobbying and public relations campaign to prevent Canada from adopting a ban on bee-killing neonicotinoid pesticides (an action the European Union took more than a year ago). They know they have to defeat any regulatory action in Ontario or risk seeing it spread across the country. The Ontario government’s plan applies only to corn and soybean crops in the province and does not prohibit other uses of neonicotinoid pesticides. The new plan will require farmers to demonstrate a need for them, replacing the present practice of spraying all seeds before delivering them to the farmer. The province confidently states that it can eliminate neonicotinoid use by 80% on these crops without a significant impact on production. New rules are expected to be in place by July 2015 (and apply to the 2016 crop growing year). Sierra Club Canada Foundation is supportive of the plan because it will be the first action by any jurisdiction in North America (the European Union acted in 2013). It should be viewed, however, as only a first step because it applies strictly to soybean and corn seed treatment and not other crops. 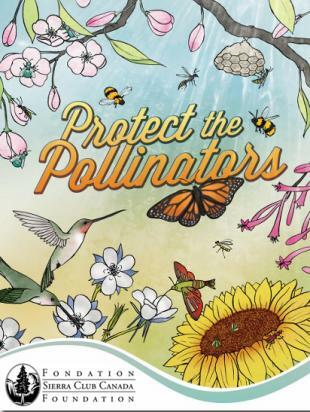 As a precautionary measure to protect pollinators, we’re calling for restrictions on all uses of neonicotinoid pesticides. We see no logical reason to treat other uses of the bee-killing chemicals differently. We hear from our sources that CropLife and OGG’s lobbying of late against restricting bee-killing neonicotinoid pesticides has been fierce (“unprecedented”). So let’s make sure Ontario stays strong. One way of doing that is submitting comments, and we have until January 25th. We’ve provided a draft letter here, but we encourage you to personalize it and emphasize your concerns.